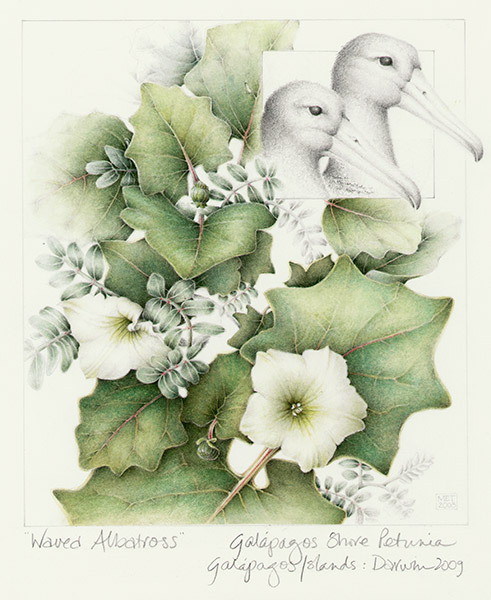 Mary Ellen was trained and licensed as a naturalist guide by the Galapagos National Park and Charles Darwin Research Station from 1982-87. 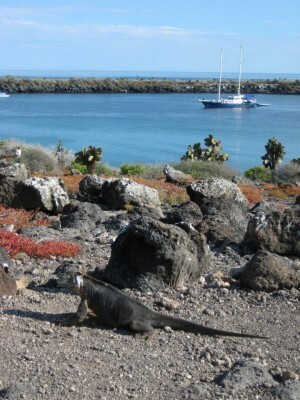 The privilege of calling the Galapagos her home, guiding throughout the archipelago and living in a tiny lava-stone house in the mangroves on the edge of Academy Bay, Santa Cruz Island shaped Mary Ellen’s path henceforth. 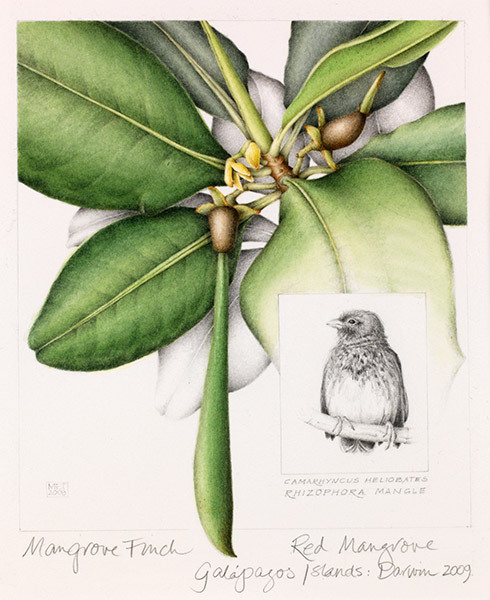 After two decades of earthquakes, volcanic and political eruptions, divorce, raising a beautiful and bright daughter, a handful of creative business opportunities and forging incredibly special and lifelong friendships . . a chance came to pursue Botanical Painting at The English Gardening School in London – an adventure in itself. 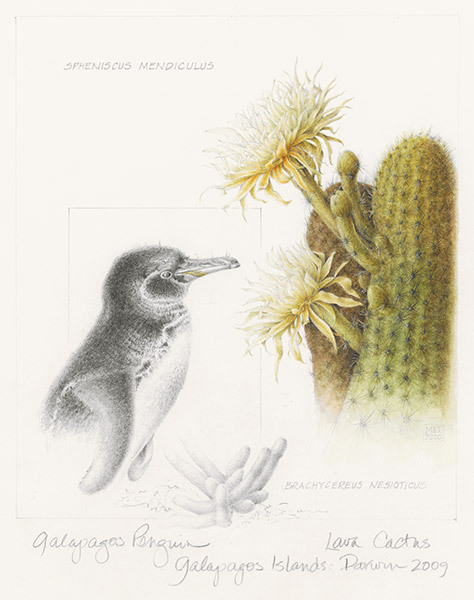 In 2008, Mary Ellen returned to the Galapagos Islands to paint a commemorative series for Charles Darwin’s 200th anniversary of habitat relating to the six most endangered birds in the Galapagos – a small step in giving something back to such a special place in her life. 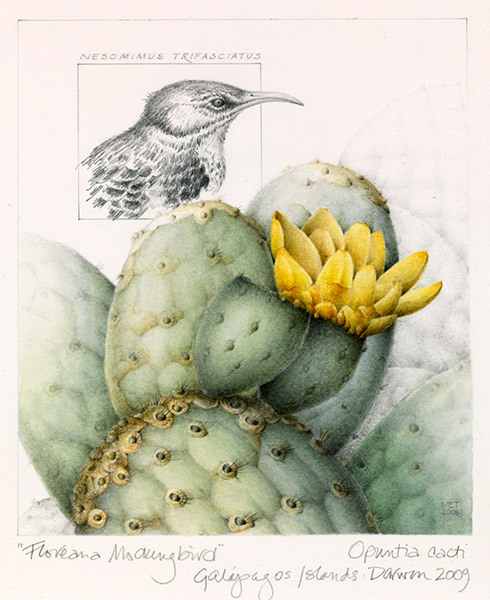 Working closely with Galapagos Conservation Trust, London, Mary Ellen has raised awareness in the public eye for this critical situation and donates a percentage of her artwork and notecard sales to support Galapagos projects managed by GCT. 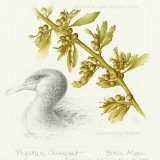 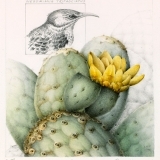 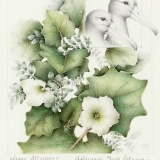 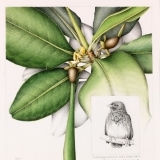 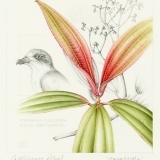 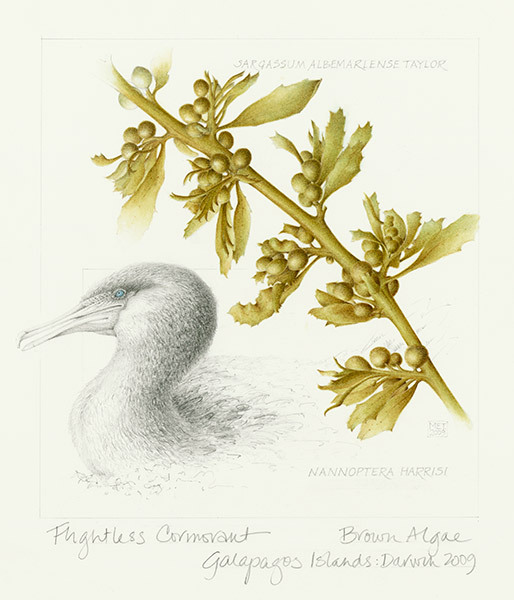 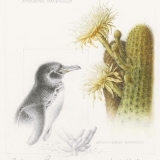 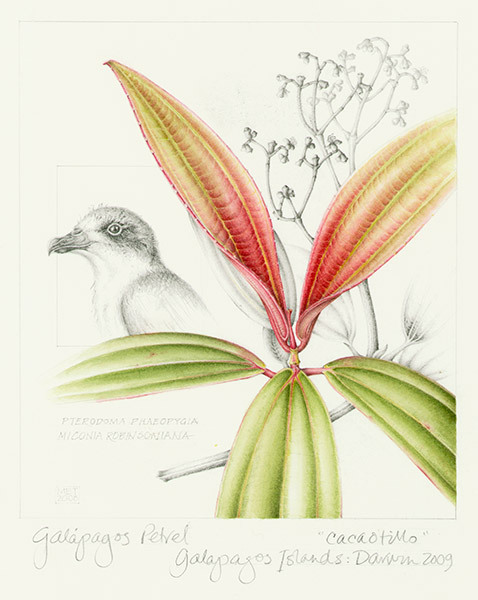 Mary Ellen has also contributed her illustrations to a multilingual field guide Galapagos: A Guide to the Animals and Plants, published in 2011 by Nigel Sitwell.